“Reggae Got Soul” is my ode to our beloved cultural expression and musical artform, which emerged in the 1960s in Kingston, Jamaica. Reggae has since grown monumentally, worldwide, and has become something of a force, unlike any other genre of music. That fact is most likely due to the ever present acknowledgment of GOD our Great Creator, in its messaging. 'The King’s music’ has become an advocate for change of the imbalanced status quo; a voice of the voiceless; a form of comfort to suffering; an uplifter of a downtrodden spirit; a joy in the face of despair; an intermediary through which commonality between various groups of species of people can be found; a means by which otherwise impoverished populace can provide for themselves and family; a vehicle by which the small nation of Jamaica gains #international reknown; and so, so much more. It is a music I love to listen and consume; as well as to WRITE and CREATE. FYI - This recording on MOVING RIDDIM was done for promotional purposes. 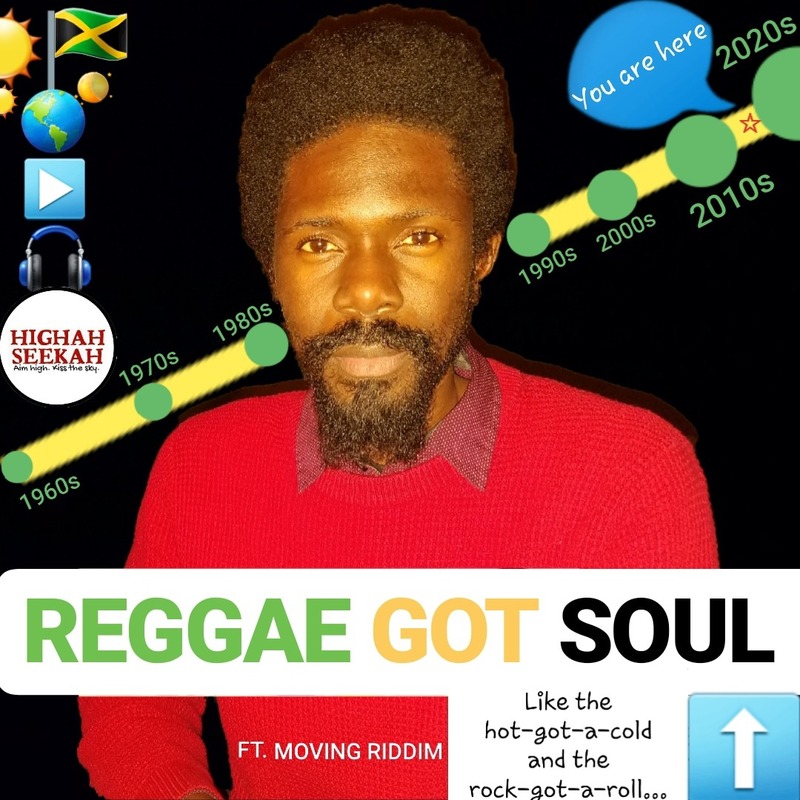 Another version is on a more Dancehall type riddim, part of an official album release by WonderSound JA called REGGAE GOT SOUL with various #artistes including #SugarMinott and #JahdanBlakkamoore. My song, which you can hear ON SOUNDCLOUD, is the title song and track 1 on that album.